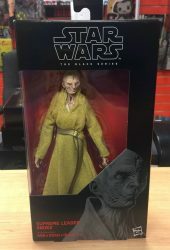 Next up for Wave 14 from The Black Series [Phase III] is Supreme Leader Snoke (54). Click below to check out this Visual Guide addition. We also have a full review of this figure right here. The basic version of Supreme Leade Snoke is very boring. See why you don’t need it in our Research Droids Reviews today! Be sure to leave your thoughts in our comments section, vote in the poll or even comment about it on our Facebook page. Click the banner below for the direct link to the review! As always, you can also send your review requests via email if you’d like to see something that we didn’t cover yet. ← 12 DAYS OF JTA: It All Starts At Midnight! TBS6" Supreme Leader Snoke And Rose For $15.99 On Amazon! That’s right! 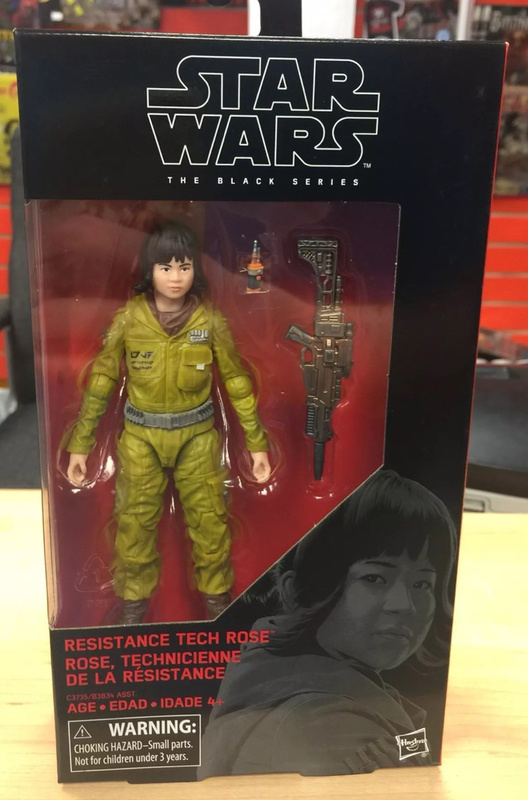 If you haven’t yet, I recommend grabbing Supreme Leader Snoke and Resistance Tech Rose 6″ for $15.99 from Amazon with free One Day shipping on orders over $35! If you have them pre-ordered, they’re already adjusted to that low price in your order. The Supreme Leader Snoke pack-in figure from the BB-8 2-In-1 Mega Playset that people are paying lots of money for on eBay is IN STOCK once again from tunghori. Don’t forget to check out his other auctions. He has restocked some of Hasbro’s greatest figures including many older TVC and TCW figures. Thank you for all of the alerts! 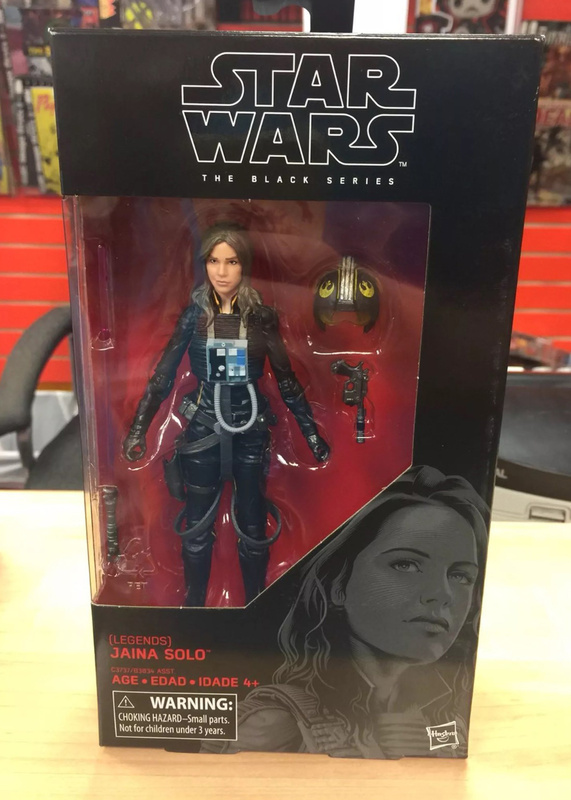 Over two months ago in early October, we gave you a complete look at the stunning Jaina Solo (Legends) figure. Now you can check out the rest of the figures in the wave. Reviews for the rest are coming soon! Hurry! Snoke And Resistance Rose Tech 6" IN STOCK + Promo Code! If you’re quick, both Resistance Tech Rose and Supreme Leader Snoke are IN STOCK at Hasbro Toy Shop. Use promo code FFSALE17 for 20% off which brings them down to $16.00 each. Special thanks to friend Steve U. for the news! 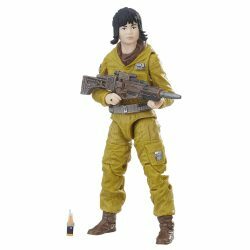 ← Amazon Restocks Star Wars [The Last Jedi] Latest Figures + More! 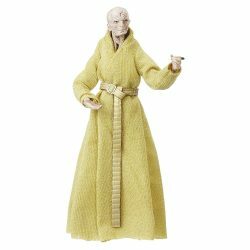 Supreme Leader Snoke is BACK IN STOCK on eBay! He is back! The Supreme Leader Snoke pack-in figure from the BB-8 2-In-1 Mega Playset that people are paying upwards of $100 loose on eBay is IN STOCK once again from eBay great tunghori. YOU SHOULD ALSO check out his other auctions. He has restocked a TON OF NEW figures including many older TVC and TCW figures that he hasn’t had in stock in some time! Special thanks to JTA reader Craig P. for the alert! 5POA Supreme Leader Snoke Pack-In Figure On eBay - HURRY! Holy cow! The Supreme Leader Snoke pack-in figure from the BB-8 2-In-1 Mega Playset that people are paying upwards of $100 loose on eBay is IN STOCK from eBay great tunghori. YOU SHOULD ALSO check out his other auctions. He has restocked a TON OF NEW figures including many older TVC and TCW figures that he hasn’t had in stock in some time! Special thanks to JTA reader Mik M. for the alert! 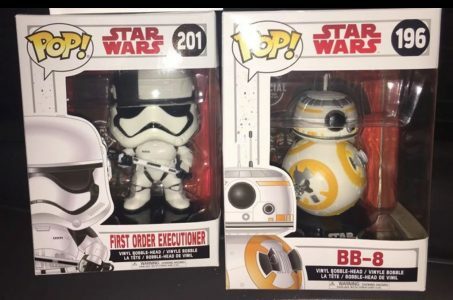 ← Walmart Exclusive TBS [P3] Sandtrooper, Tusken Raider And Others Cheap! 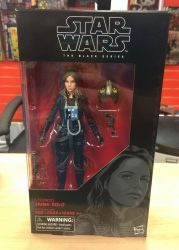 Latest TBS6 Wave Found At Target! The latest wave of The Black Series [Phase III} 6″ figures have been found at a Target in Minnetonka,MN. 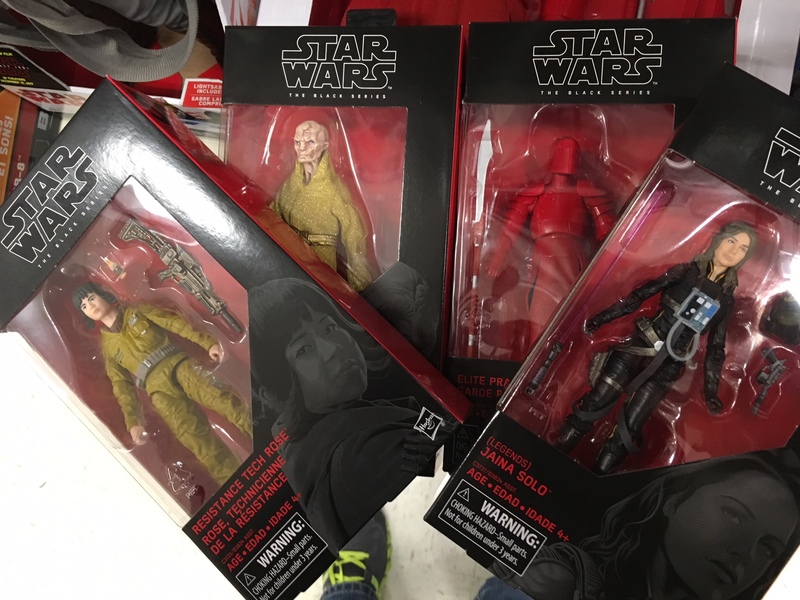 JTA Reader Adam K. found Snoke, Jaina, and Rose all at his local Target. It might be time to start taking a look if you need these! Entertainment Weekly has just posted an article which reveals some potential secrets of Supreme Leader Snoke. Check it out if you dare! 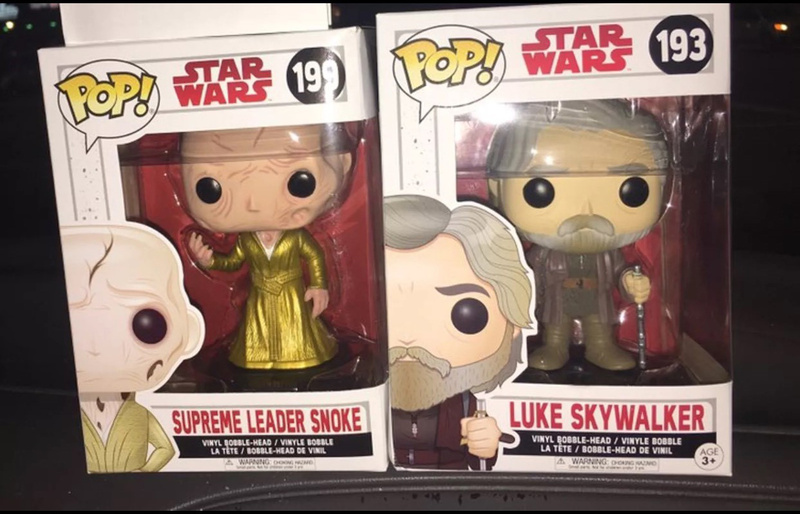 Resistance Tech Rose And Supreme Leader Snoke In And Out Of Stock! Supreme Leader Snoke and Resistance Tech Rose 6″ are going in and out of stock. Many have bene able to successfully order both! Good luck! ← Toys R Us Exclusive Rey (Jedi Training) (Crait) Is BACK IN STOCK! TBS6 Supreme Leader Snoke And Rose Pre-Order On Amazon. 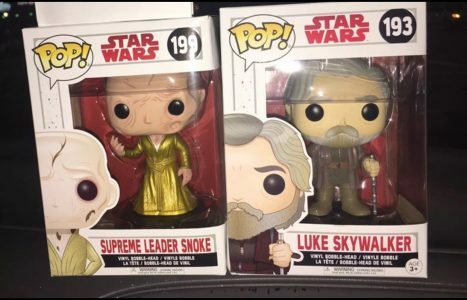 Supreme Leader Snoke and Resistance Tech Rose 6″ are up for pre-order at Amazon for $19.99 and a Dec,. 15th Release. UPDATE: Both Gone! Keep checking back! We’d like to thank Litzky PR and Hasbro for providing us with this review sample for our 3100th review! The BB-8 2-In-1 Mega Playset has many redeeming qualities. It was a ton of fun to play with when we tested it out. See why you might not want to miss out on this great release in our Research Droids Reviews today! Be sure to leave your own thoughts in our comments section, vote in the poll or even leave comments about it on our Facebook page. Click the banner below for the direct link to the review! As always, you can also send your own personal review requests via email if you’d like to see something that we didn’t cover yet. 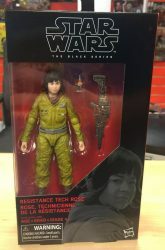 I’m not exactly sure where they got it from yet, but a seller on in New York had a case of the latest wave of The Black Series 6″ that included Luke (Jedi Master), Rey (Jedi Training), Jaina Solo, Resistance Tech Rose, and Supreme Leader Snoke on Mercari. He sold them for a reasonable $23 price tag also. They could be popping up anytime now for pre-order, so keep an eye out! Another seller in Wisconsin also had the newest Funko Movie Moments, so that’s another item to keep an eye out for. Whether this is new news for you or old news for you, we’ve compiled a list of the eight figures that will make up the third post-Force Friday II case assortment for The Black Series [Phase III] 6″ lineup. Can you say “case assortment suicide”? Click through for more. Amazon has created a product page for the upcoming Supreme Leader Snoke 6″ figure. This figure should be part of the third post-Force Friday II wave of The Black Series [Phase III] action figure. Special thanks to JTA reader rivesjunctionite for the alert!